All Timnath homes currently listed for sale in Timnath as of 04/25/2019 are shown below. You can change the search criteria at any time by pressing the 'Change Search' button below. "This innovative new floor plan by Luxury Homes is truly one of a kind. Sprawling ranch style home w/finished basement & amazing central courtyard w/fireplace & sound system that will make all your entertaining dreams come true. The highest quality finishes & designs throughout. Private spa in master bathroom retreat. Over the top bsmt includes sleek modern bar, glass enclosed wine room, fully equipped theater room State of the art energy conservation features. Covered back deck w/outdoor kitchen"
"Stunning new custom home on the golf course. A modern farm house with open inviting floor plan. Beautiful master retreat. Outdoor space for enjoying the views and outdoor living at its finest. Designer lighting and stone. Enjoy Harmony with golfing, biking, pickle ball, exercise facility, salt water pool, walking trails and coming soon an on site restaurant with a dining experience matched by none. This home and neighborhood has it all. Sports membership is included in the purchase price." "Stunning Modern Contemporary living in Harmony Club by Lauren Ashley Homes. Luxury Finishes throughout. Chef's Dream Gourmet Kitchen with Ultra High End Appliances. All aspects have been professionally designed with comfortable modern living in mind. From the flowing floor plan and the tasteful tones, to the Spa like Suites and Theater with Bar. 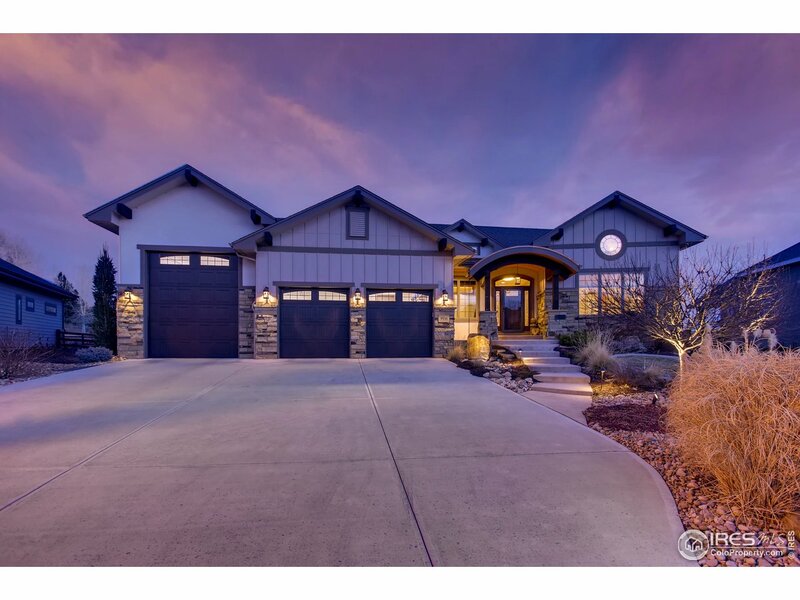 This 5Bed 6Bath home is Livable Luxury and comes complete with Large Covered Deck looking out over open space along with a massive oversized garage." 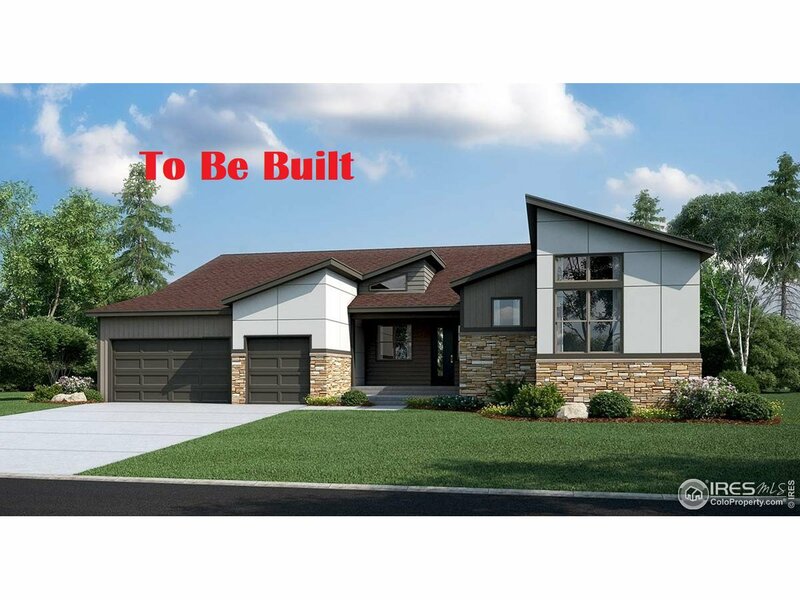 "This stunning one of a kind ranch will have many luxurious features!Custom knotty alder cabinets, solid doors and trim, fireplace with custom stone and extended hardwood in kitchen, dining, office,halls, 1/2 bath. Central vac, dual zone heating and pre-wire for surround sound are just a few other highlights! Coffered ceilings w crown molding in dining and master along with wood wrapped gherkin windows. Full custom landscaping with gas firepit and a charming balcony off the front w french doors"
"Breathtaking Tuscan Style Home in Harmony Club Subdivision! Classic, sophisticated charm paired w/ modern amenities. Natural stone, majestic archways & rich wood featured throughout. This home has a warm, welcoming ambiance for your family & guests. Idyllic floor plan w/ spacious rooms & luxury custom finishes. Abundant outdoor areas to relax, backs to open space & walking path. This exclusive community provides its residents w/ endless recreational options. This home is what dreams are made of!" 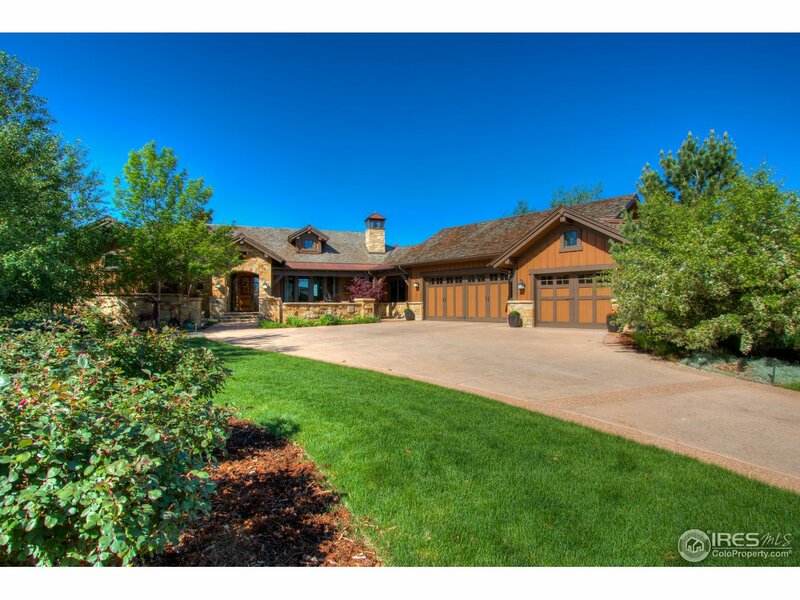 "Luxury walk-out ranch in Harmony, the premier club and golf community in Northern Colorado. Elegant indoors and out. Stucco/stone exterior, concrete tile roof. Elevated ceilings. Hand troweled walls.Tile and hardwood floors.Indoor/outdoor fireplace. Quartz and granite counters. Gourmet kitchen. Thermador stainless appliances. Master bath steam shower.Two bedrms+study on main. Walk-out lower level with 3rd and 4th bedrms, rec.room,bar,theater room. Covered balcony + patio. Backs to greenbelt." "Spectacular Mediterranean Ranch with full walk out basement backing to open space green belt. Mountain and water views from the massive deck including spiral staircase. Grand entrance with volume ceilings,chefs kitchen with huge island. High end appliances, central vac, wet bar in basement, security system. This home includes a four car garage and excellent cul-de-sac location. Don't miss your opportunity to live on the best street in Harmony on top of the hill! Golf, Pool, Work out center,"
"Enjoy your own private country luxury in this custom ranch -backs to private walking trails, minutes from Fort Collins & I-25, this sprawling 4 bed,4.5 bath has exceptional detail and quality with custom landscaping, high end appliances and gourmet kitchen, knotty alder cabinets, hickory flooring, granite counter tops, two-sided fireplace,expansive master suite with luxury bath, walk in closet w/safe room, extravagant wet bar and rec room,ample storage. Serenity and peaceful luxury at its best!" 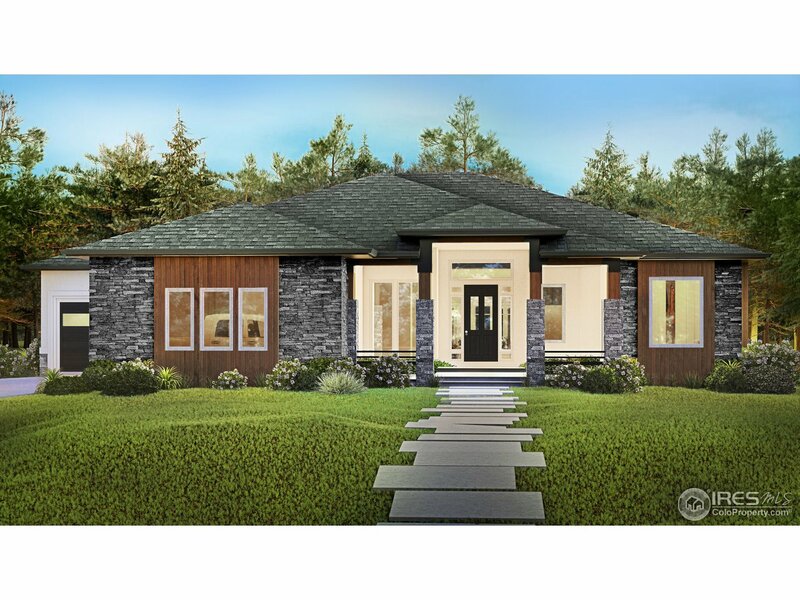 "This is one STUNNING CalAtlantic model home & it's finally for sale! 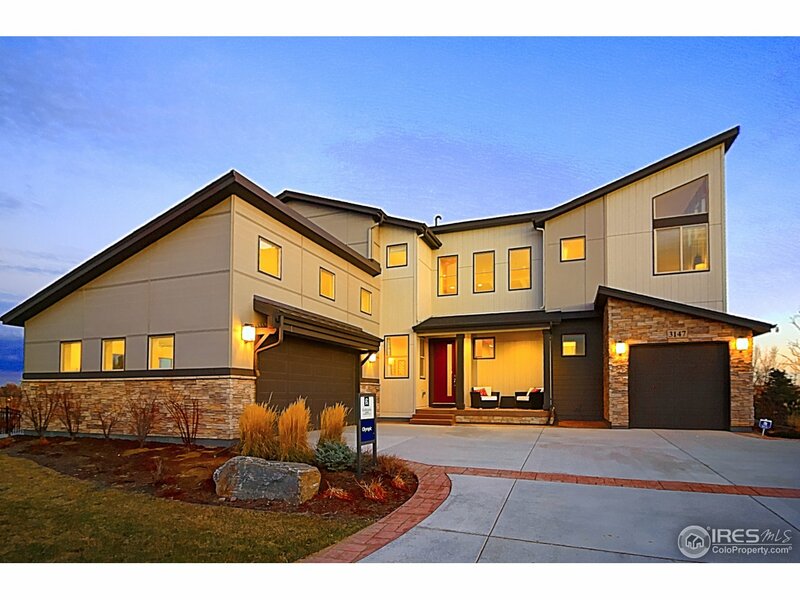 You won't believe how amazing this Olympic floor plan is from the 6 bedrooms, 6 baths, 3-car garage, finished basement & cul-de-sac living w/ mountain & plains views! Incredible gourmet, island kitchen w/ granite counters, gas range, double ovens, wood floors on main level & over 5,300 SF of living space. Huge, gorgeous, well-landscaped property. 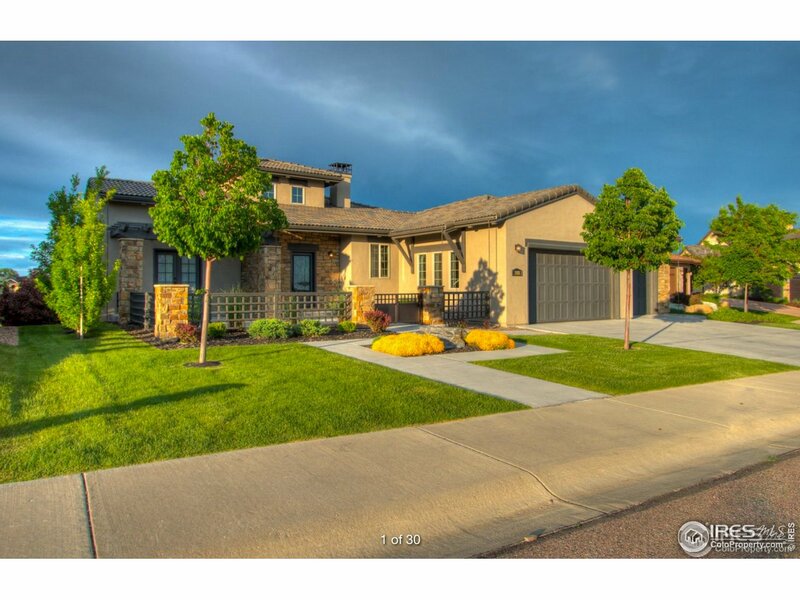 Too many design & floor plan features to mention here so THIS IS A MUST SEE HOME!" "Striking ranch-style home designed with today's family in mind! 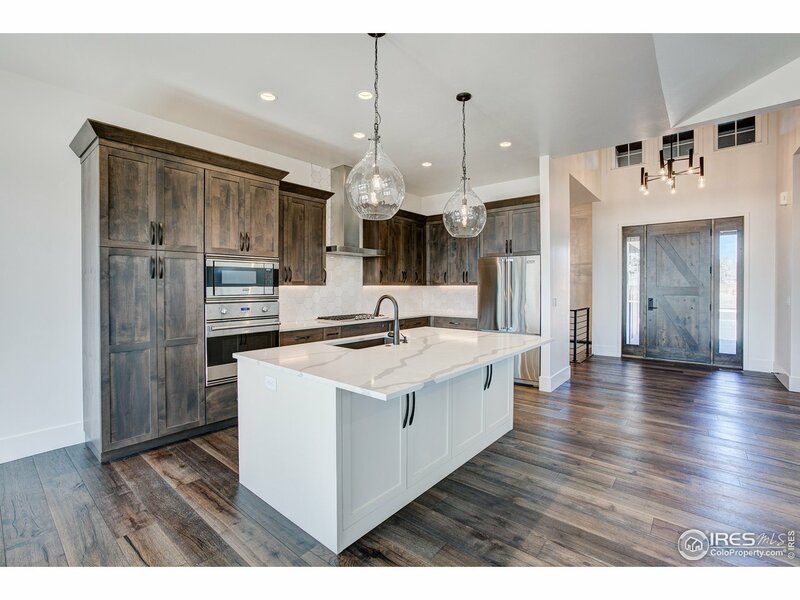 Nothing is spared w/custom design and Luxury finishes throughout*Large main living area with great flow and lots of natural light*3 bedrooms*3 baths*Study (can be made into a 4th bedroom)*Gourmet kitchen & large covered patio Backing to a beautiful green belt. Enjoy the serenity of the country as you run, walk or bike on the community's private trails. Community pool and park are a short walk from your back door. Welcome HOME!" "Welcome to The Harmony Villas, your home for fully customizable luxury living without the hassle of property maintenance. 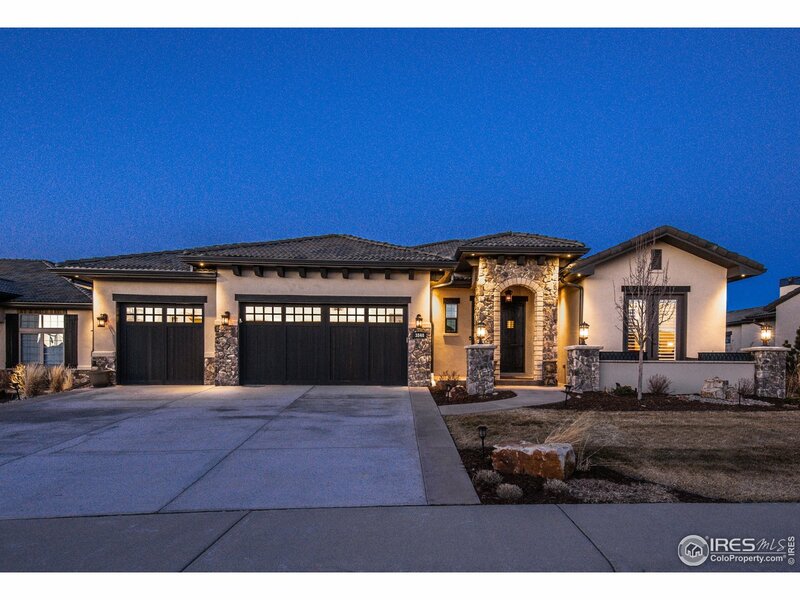 Nestled in, and boasting full access to one of the most desirable golf communities in Northern Colorado, these limited number of homes provide exactly what you have been waiting for! Featuring the perfect size, matching your exact tastes, and offered at a price point below anything in the subdivision. Take advantage of the introductory pricing now, with no lot premiums!" "Sophisticated ranch w/1322 finished s.f. in basement incl. large rec room, wet bar, bedroom & 3/4 bath. High ceilings w/beams, study, 2-sided fireplace in great room, 2nd fireplace in morning room, split 3-car garage & fabulous kitchen w/ high-end finishes incl. large island, Electrolux fridge, dbl ovens & gas cooktop. Owner's suite w/access to patio & luxury bath. Fenced & landscaped, backs to greenbelt. Up to $8k in Closing Costs w/ preferred lender." "THIS HOME IS UNBELIEVEABLE! 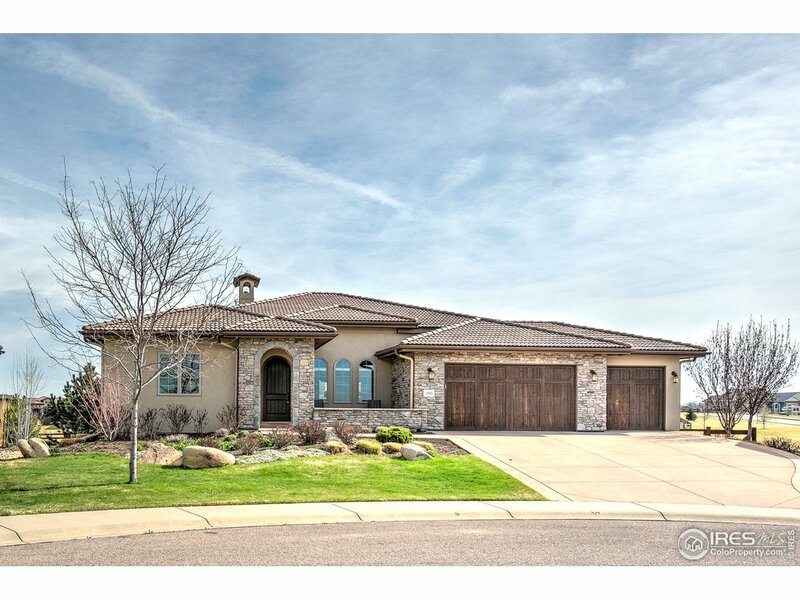 You'll love this 3 bed, 4 bath RANCH w/ 3-car oversize garage. The Teton model features all bedrooms w/ private, en-suite bathrooms. Master suite includes 5-piece bath & huge walk-in closet. Impressive kitchen includes walk-in & butler's pantries, large island/granite counters & beautiful cabinets to ceiling. The great room is open to the kitchen & lrg breakfast nook w/ formal dining room off the entry. Massive 3,000+ SF basement w/ 9' ceilings. Do not miss this one!" 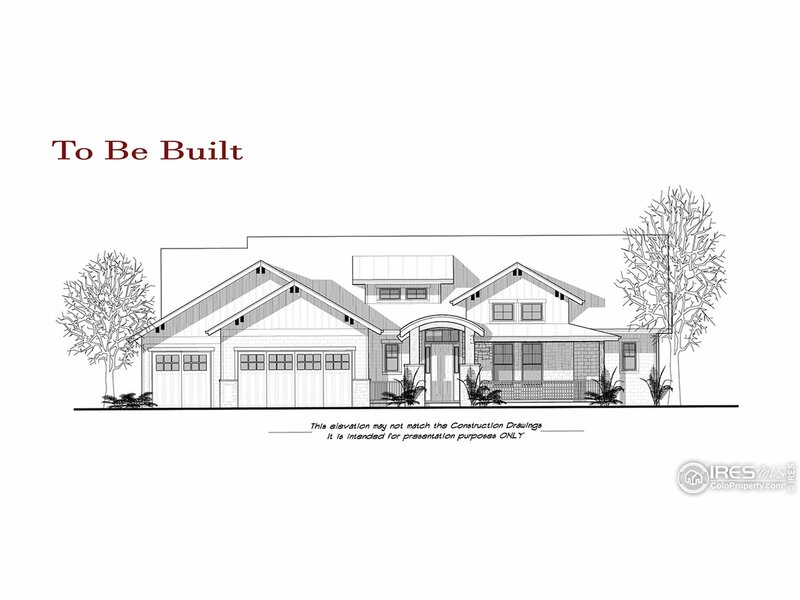 "The Sequoia is an exquisite ranch-style plan that includes 3 bedrooms, 3.5 bathrooms, a study and a split 3-car garage. The Great Room, breakfast nook and its beautiful kitchen are filled with natural light from lots of windows. An open dining room provides a welcoming space to gather for meals. The bedrooms have in-suite bathrooms, providing additional privacy and the owner's suite includes a retreat, 5-piece bath and large walk-in closet. Don't miss this gorgeous home and lovely neighborhood!" "Welcome to The Harmony Villas, your home for fully customizable luxury living without the hassle of property maintenance. 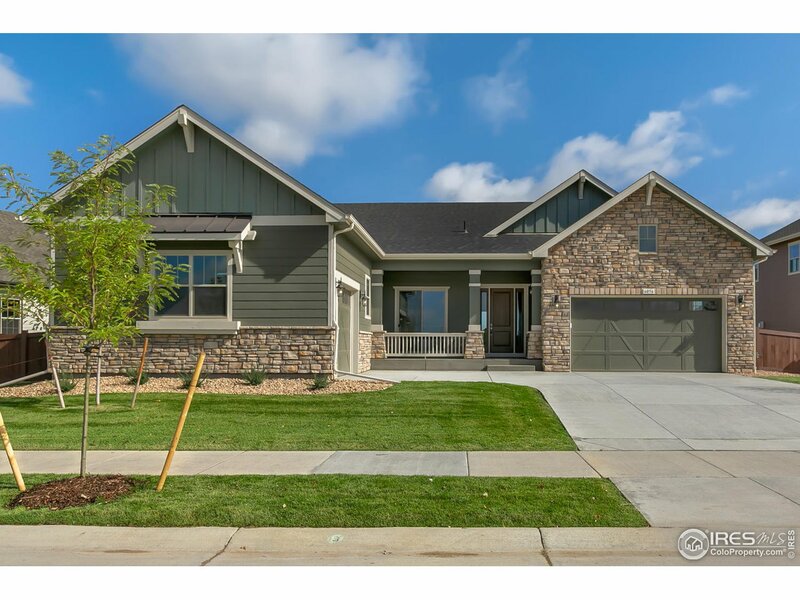 Nestled in, and boasting full access to one of the most desirable golf communities in Northern Colorado, these limited number of homes provide exactly what you have been waiting for! Featuring the perfect size, matching your exact tastes, and offered at a price point below anything in the subdivision. Take advantage of the low introductory pricing without lot premiums!" 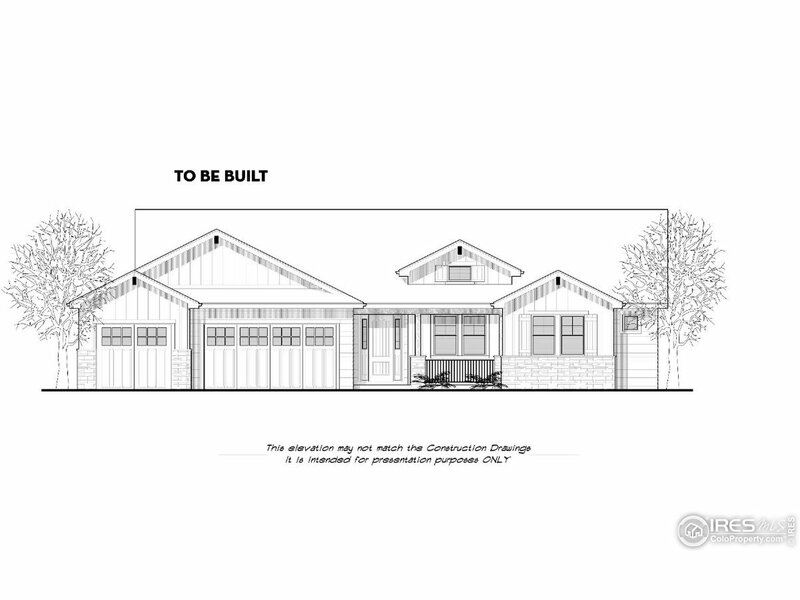 "Gorgeous new ranch style home on a fabulous lot located in a cold a sac! This home shines & will show like a model. Totally upgraded throughout with gourmet kitchen, custom handrails, hardwood floors and high end appliances! Master bedroom, guest suite & study on main floor, unfinished basement adds so much potential! Great outdoor living w/covered patio AND BACKING green space. Enjoy small town living!!!"